The best part about getting drunk is all the greasy, melty, and deliciously disgusting food that you get to eat after the part of your brain that reminds you that you’re on a diet shuts off. Depending on where you are in the world, drunk food takes on a different meaning. In some countries the meals that you eat while you’re staggering home at three in the morning are meant to be lazily held in your hand as you try to work the Uber app. All the way across the world, some drunk guy is tucking in to a delicious bowl of steamy soup. The one thing that drunk food from around the world has in common is that it’s meant to sop up all your bad decisions, one bite at a time. Drunk eating is one of the most spectacular past times in the world, and in America we pretty much have it down to a science. But what about in a place like Scotland that exists in a thick haze of drunk for most of the day? We think you’ll be pleasantly surprised when you find out what they eat, and what people from countries that you probably never think about chow down on once they get hammered. If you love food and want to know what people across the world eat when they’re drunk then you’ve come to the right place. After reading about the best drunk food from across the globe, leave us a comment about what you munch on when you get blitzed. 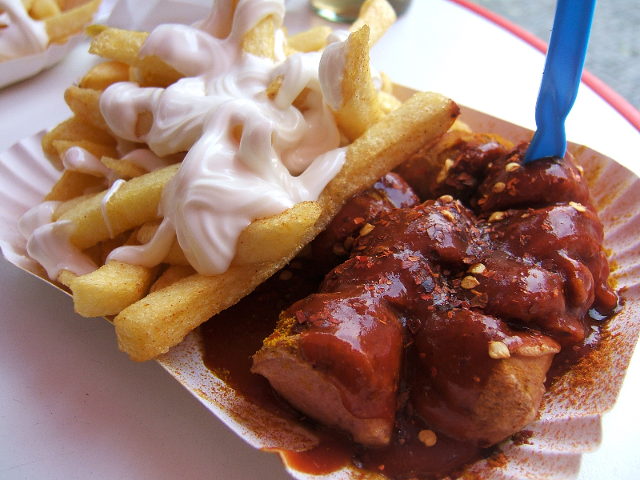 Currywurst is a delicious steamed and fried sausage that's sliced up and slathered with ketchup that's been spiced with curry powder. After finishing one of those off you probably don't need fries but you know you want them. 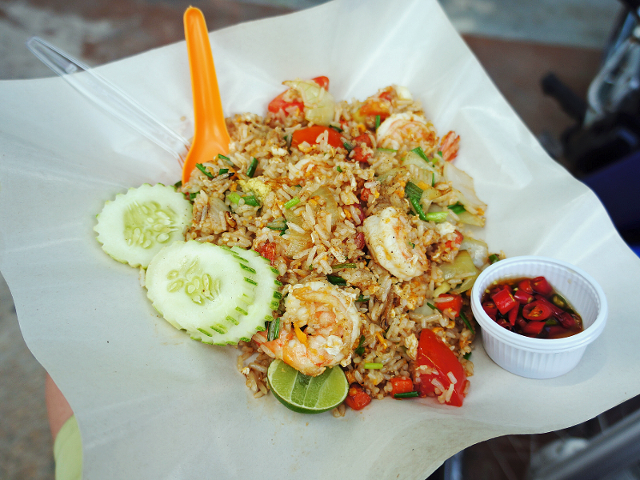 We've all had fried rice, but traditional Thai fried rice eschews the soy sauce of Chinese and Western fried rice and relishes in a citrus-soaked lime flavor. 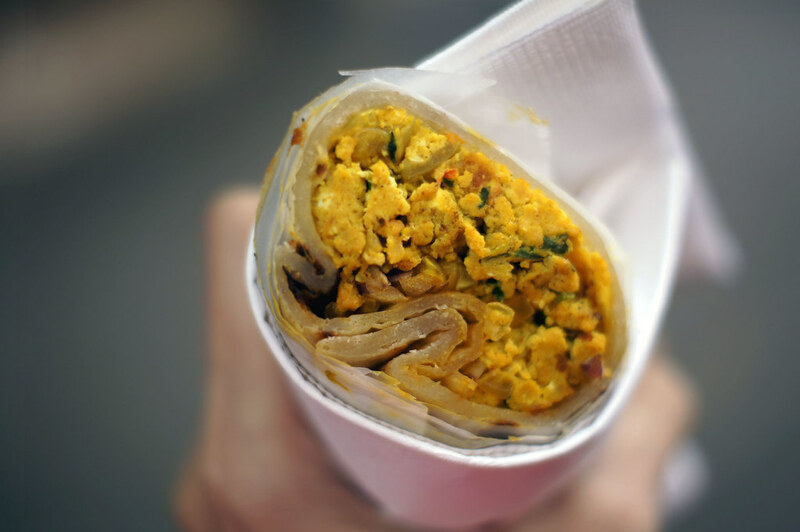 Bhurji-Pav is loosely translated as spiced, scrambled eggs and bread, and it's made across India in roadside stands where every cook has their own spin on the dish. You may know what tacos are, but you haven't actually eaten one until you're a little too drunk in a foreign country, and ordering from a vendor working a flat top. 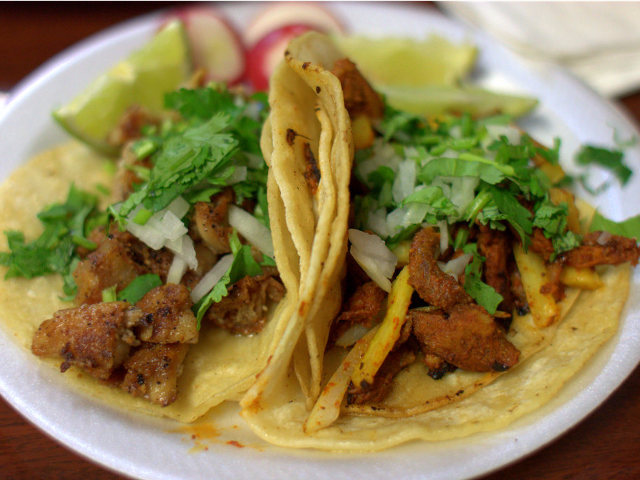 If you're lost on what to order, the magical words "al pastor" will cure what ails you.